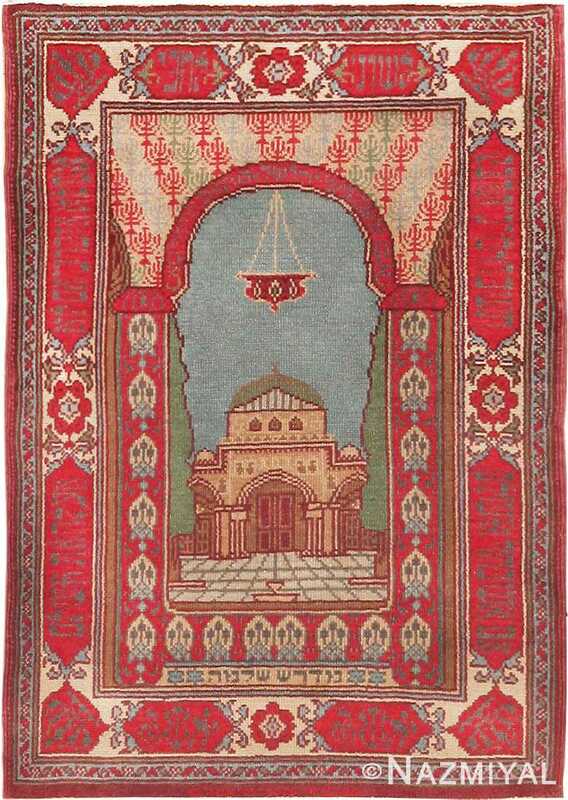 Marbediah Rugs – Operating between 1906 and 1931, and run by Shmuel Ben David, Abraham Bar-Adon and Yakov Controvich, the Marbediah rug workshops in Jerusalem Israel were at the forefront of Israel’s Art Nouveau and Arts and Crafts design movements. 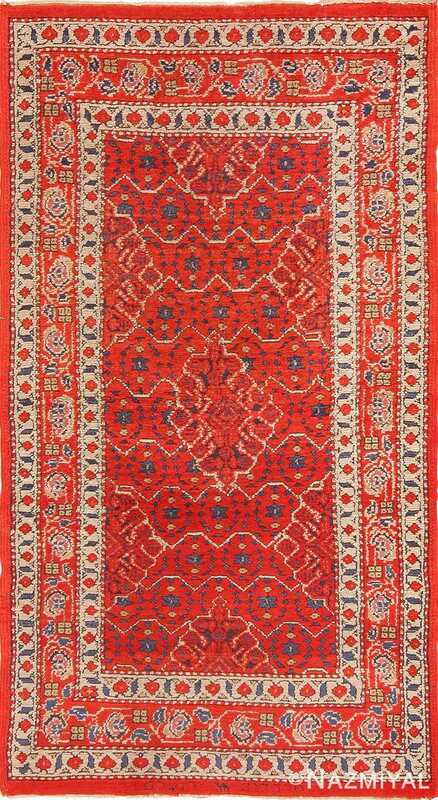 This independent workshop of commercial weavers was operated by designers and artisan craftspeople affiliated with the Bezalel Academy, which was responsible for a renaissance of Judaic art. 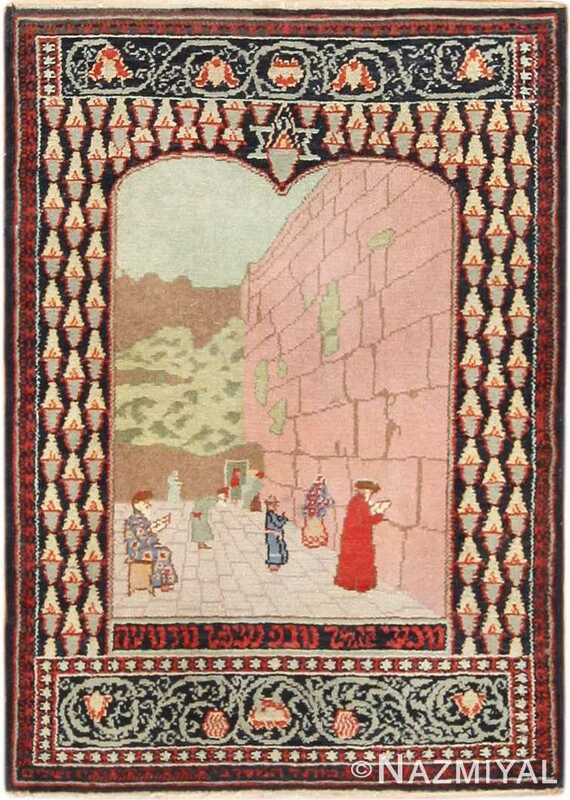 The artisan Marbediah workshop focused on Israel and the Holy Land themes and Art Nouveau rugs incorporating influences from Europe, Persia, the Middle East and the beginnings of Israel, which was not yet recognized as a sovereign nation. 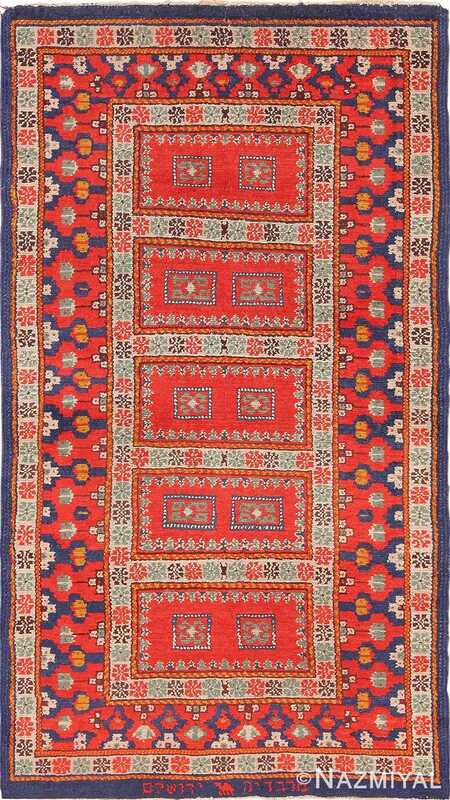 The name Marbediah, Marvadiah or sometimes Morvadia or Mabediah stems from the Hebrew word Marvad, which means carpet or mat. 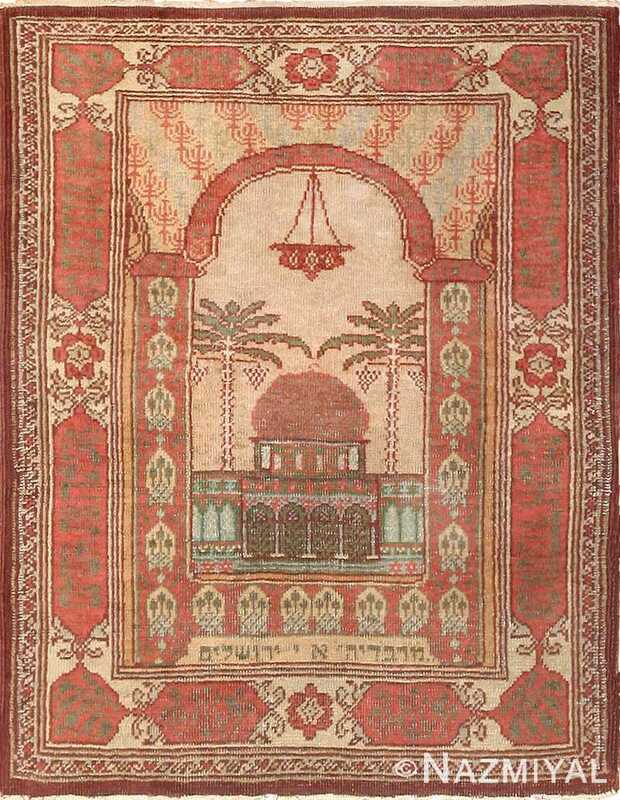 These fantastic rugs depict legends, religious stories and Judaic patterns inspired by ancient artifacts and mosaics uncovered in the early 20th century. 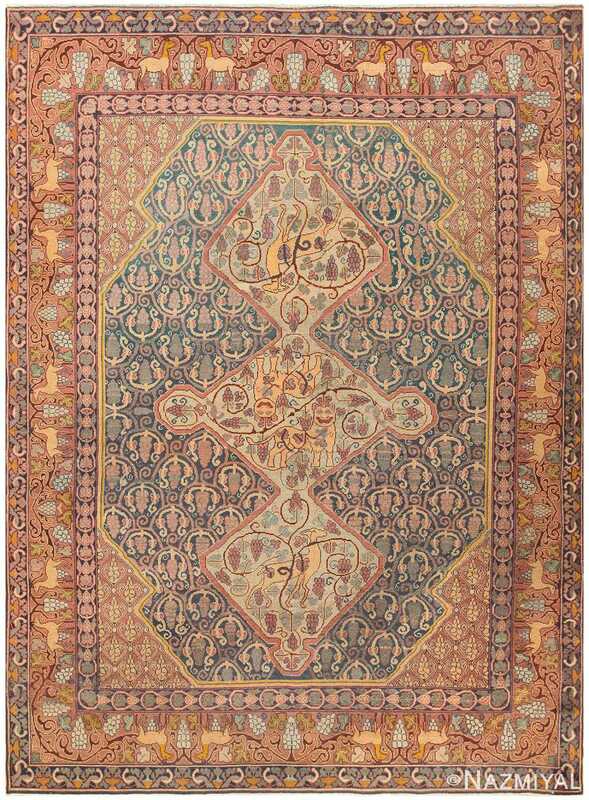 Rugs that are part of this outstanding group of Judaic Art Nouveau pieces are inscribed with the word Marbediah and feature the workshop’s signature camel emblem.